Baby circus elephant Dumbo is mocked by all the other animals because of his enormous ears. 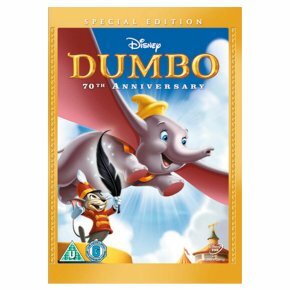 However, when he is befriended by Timothy Mouse (voiced by Edward Brophy) Dumbo discovers a new use for his outsized organs of hearing - they give him the ability to fly! Frank Churchill and Oliver Wallace's score won an Oscar.